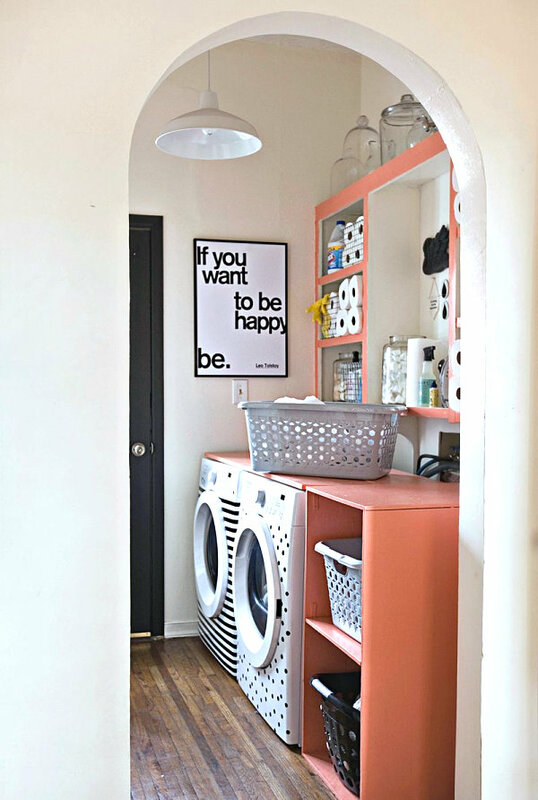 Well, folks–it’s finally happening…I’m getting a washer and dryer! 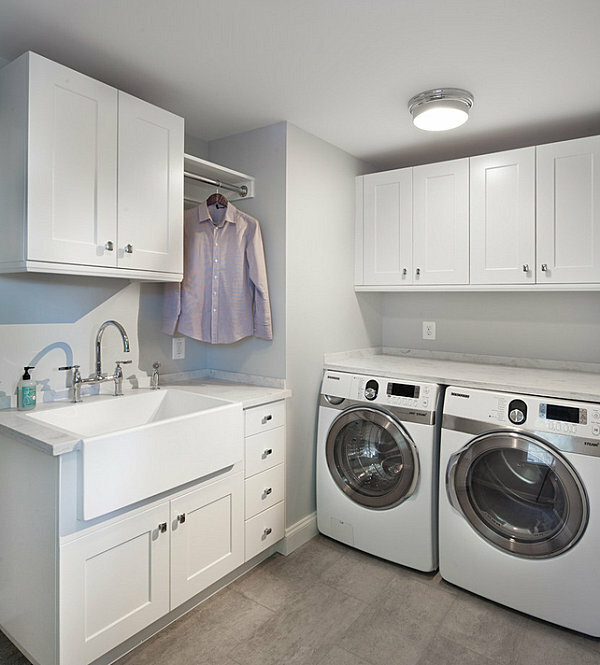 After moving to a new place filled with laundry room obstacles (including a large built-in cabinet that prevented any appliances from actually being installed), we’ve cleared the way for a washing machine and dryer. 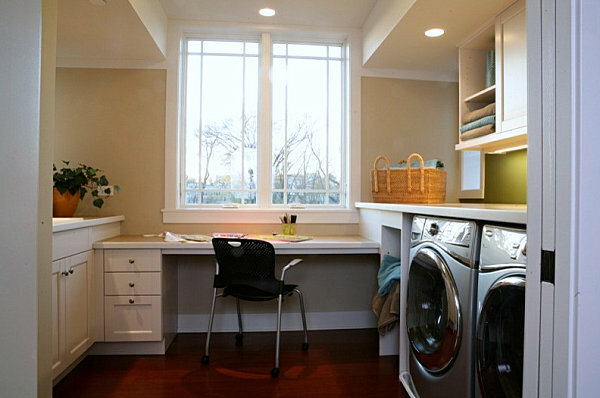 Our laundry room is currently serving as storage for a variety of items, including supplies for our kitty. 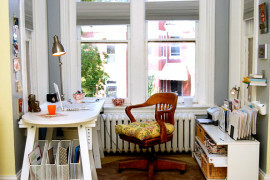 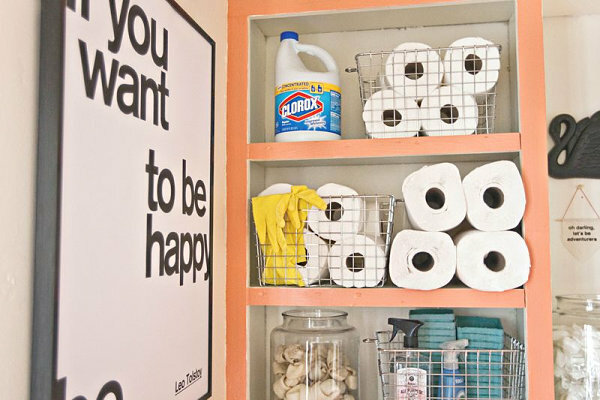 It’s time to whip this space into shape and make it the organized room it was meant to be! 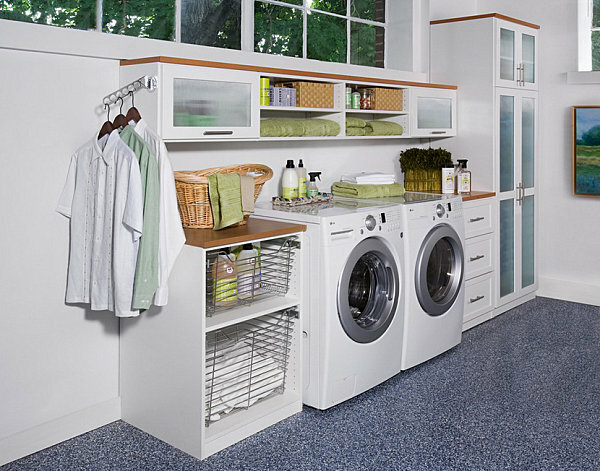 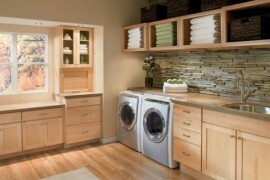 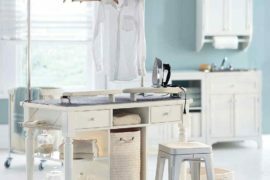 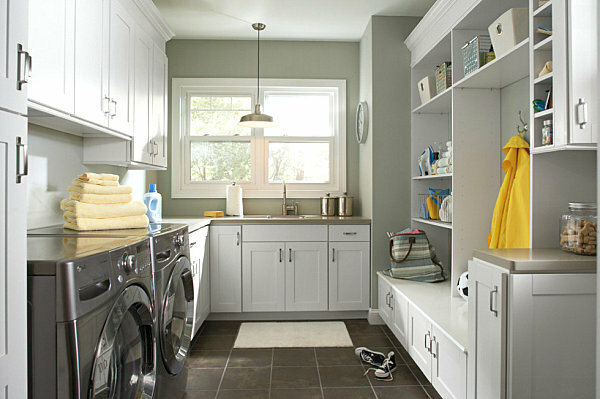 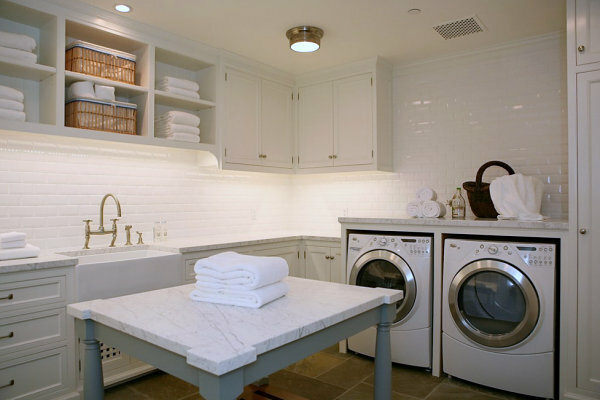 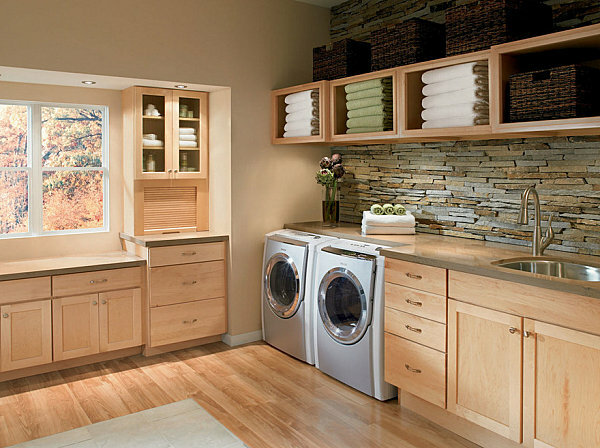 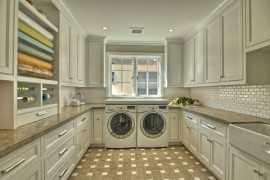 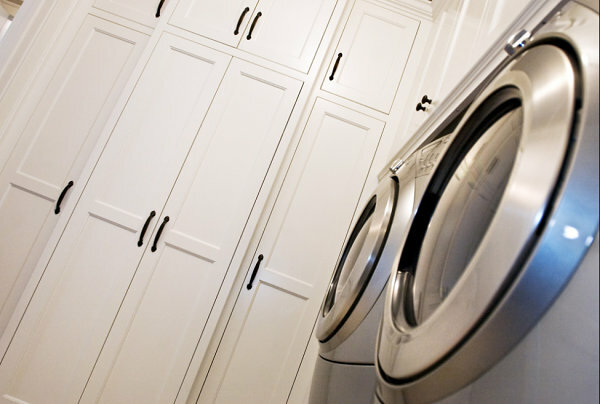 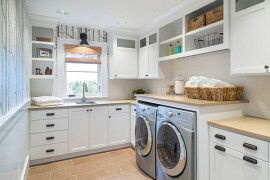 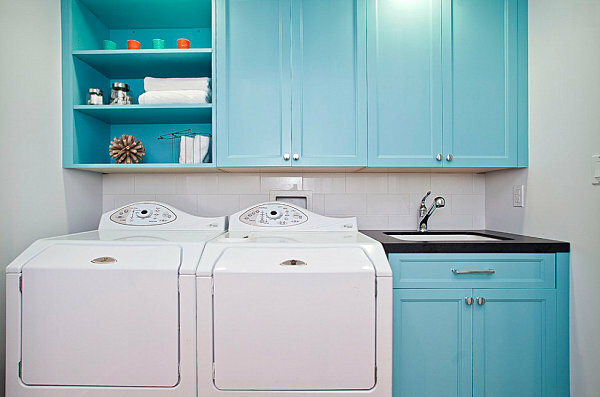 Of course, if you’re able to design a custom laundry room, you can select shelving and cabinetry that will precisely fit the dimensions of your space. 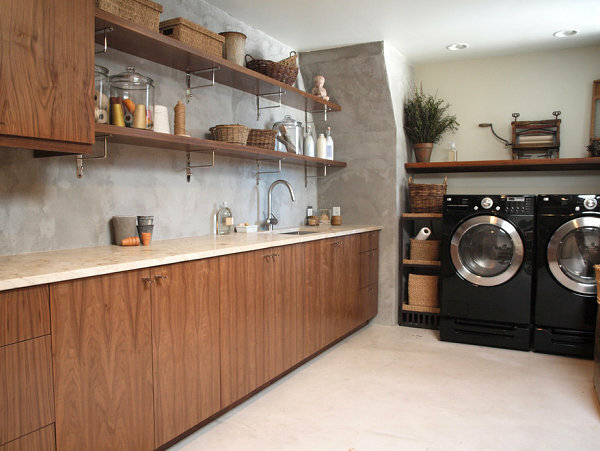 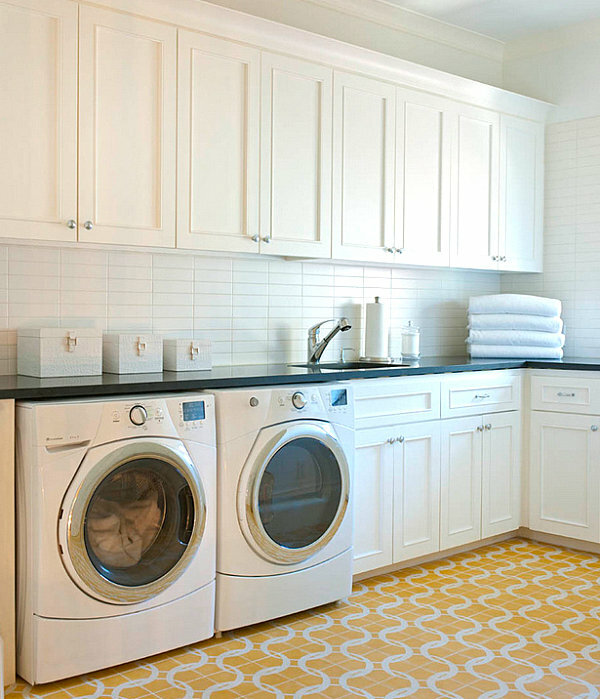 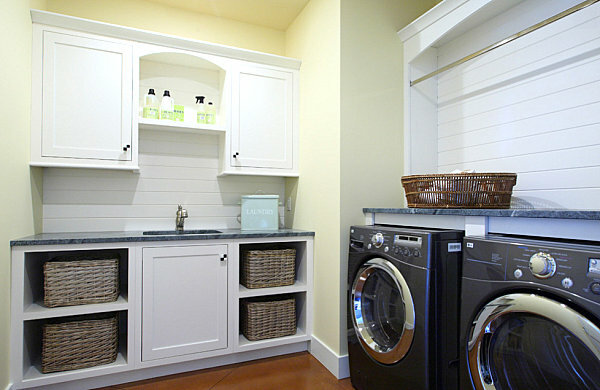 Below we see a custom laundry room from TransFORM, a space that features deep cabinetry, a floating unit with flip-up doors and shelving, and chrome slide-out baskets. 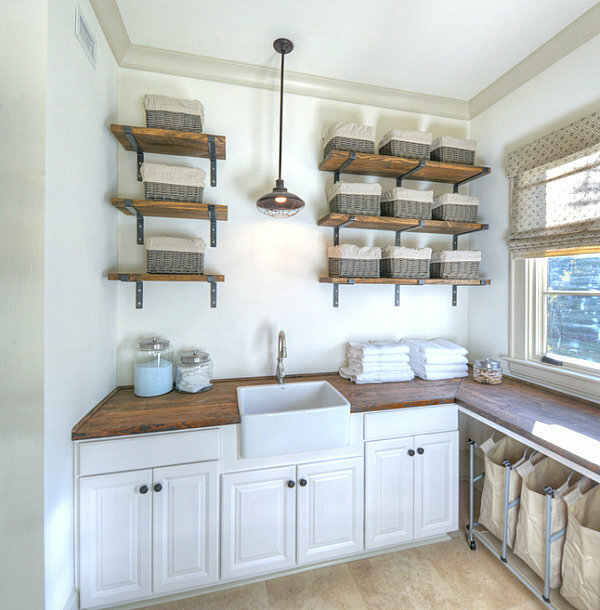 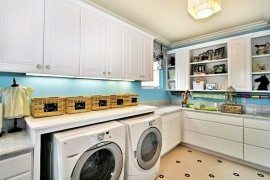 In a third shot of the laundry room makeover from A Beautiful Mess (featured in the sections above), we see how this laundry space also holds an array of basic cleaning supplies. 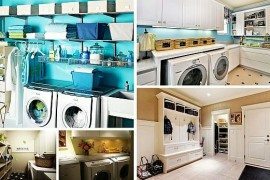 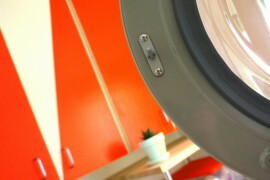 And why shouldn’t the laundry room be the cleaning hub of the house?! 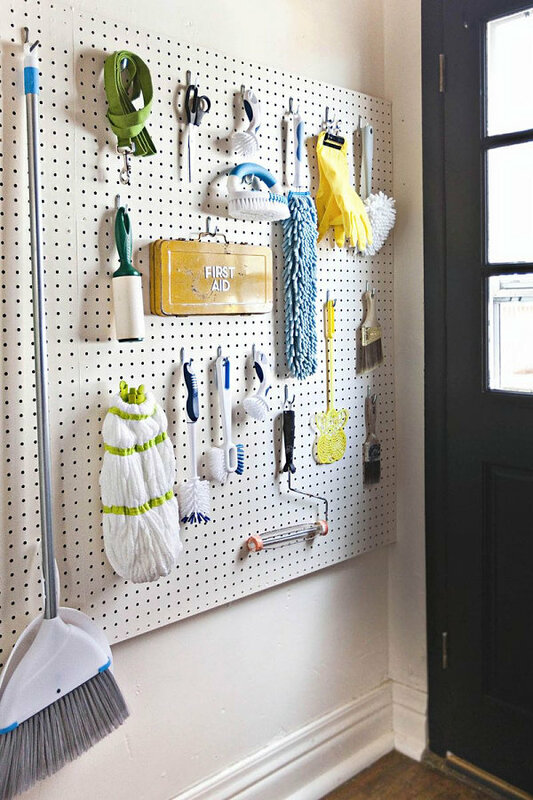 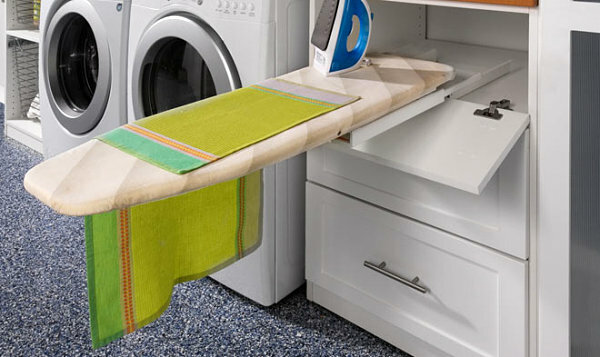 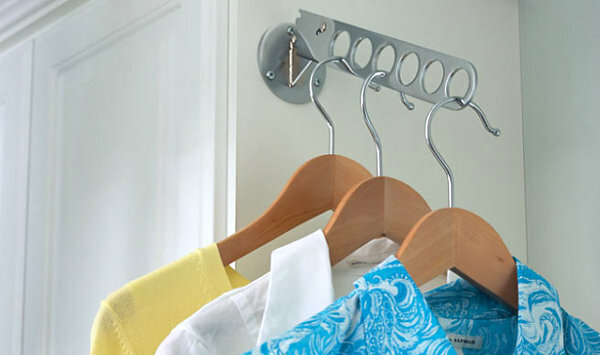 A pegboard keeps items tidy and visible, giving residents easy access.